Allied Medical Center, Near Satwa Roundabout, was founded in 1997 and formerly known as Allied Diagnostics pioneered the development of an independent multi modality specialist diagnostic imaging clinic in the Gulf region. In September 2015, Allied Medical Center got rebranded and evolved into a multi-specialty medical clinic, providing multidisciplinary services under Allied Medical Center as a new trade name. After that, the medical centre is recognized as a leading healthcare provider in the United Arab Emirates, having established a reputation for excellence within the GCC and UK under the umbrella of UME Group Company. Allied Medical Center providing children and adults with top general medical care with multi-speciality polyclinic. Allied Medical Center is one of Dubai’s top 10 private clinics, ranging from family medicine to breast health services. Allied Medical Center Dubai offers a highly qualified medical team and radiologists who are striving to provide the patient with the highest treatment standards. The clinic is located in Dubai’s heart and is easily accessible. The patient will be greeted with support staff working in a patient-centered environment. Allied Medical Center Dubai focuses on very best patient care with providing the team of highly qualified and experienced clinicians and sub-specialized radiologists. The clinic’s medical team follows evidence-based best practices and other professional codes of conduct to deliver compassionate, ethical, and confidential healthcare to the clients based on international standards and benefit. In a patient-centered environment, the premier polyclinic in Dubai provides state of the art technology and friendly caring support staff. The polyclinic is committed to delivering healthcare and diagnostic imaging excellence that exceeds the patient expectations, presenting Western healthcare standards to the Middle East. 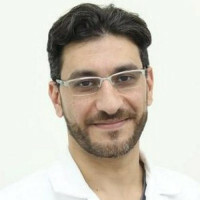 Allied Medical Center carries a mission “to be a leading provider of diagnostic imaging services in selected countries in the public and private sectors, to be an excellent and caring employer promoting continues development and improvement of the staff and combining clinical expertise with advanced technology.